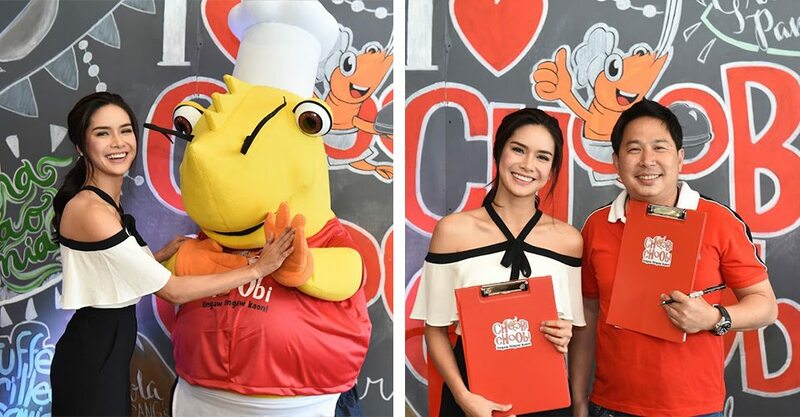 Last Monday, February 29, Star Magic artist and Be My Lady lead star Erich Gonzales was launched as the official endorser of Cebu seafood restaurant, Choobi Choobi. 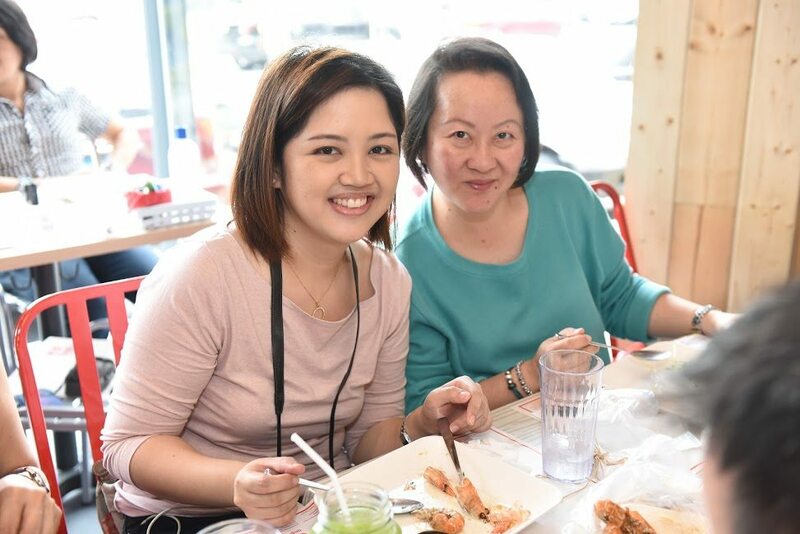 Hosted by Magic 89.9’s DJ Suzy, the media launch-slash-contract signing event was held at Choobi Choobi’s first Manila branch located in Panay Avenue, Diliman, Quezon City (right across Tropical Hut, near Crossings Department Store; map provided at the end of the article). 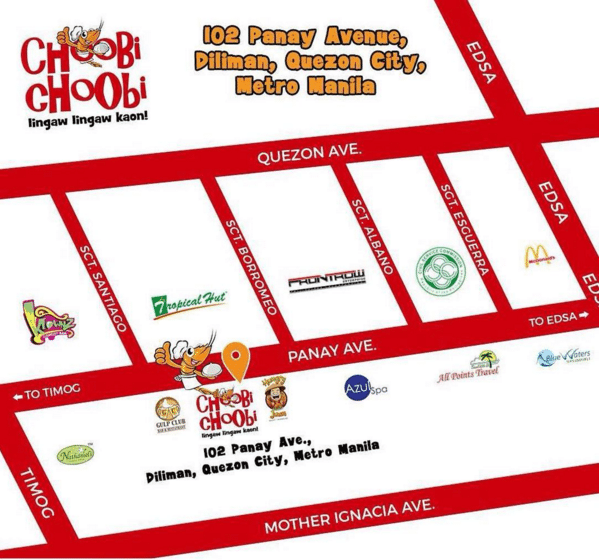 Choobi Choobi is now accessible nationwide, with branches in Luzon, Visayas, and Mindanao. 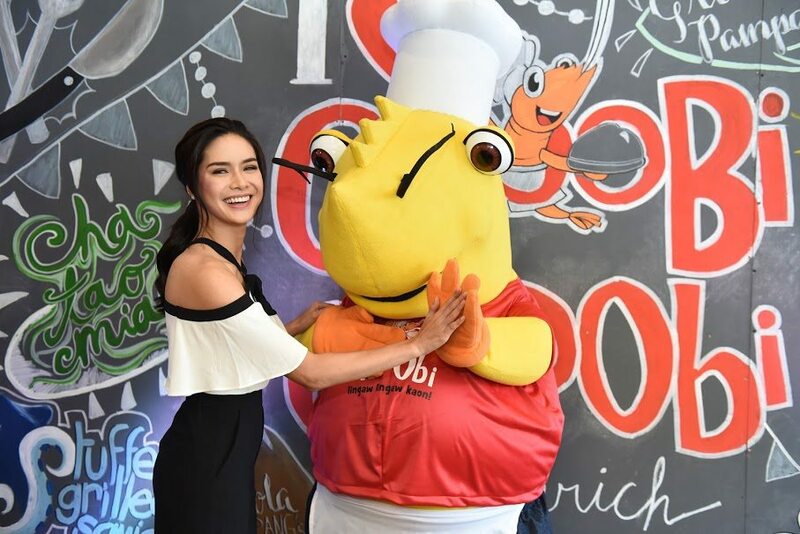 Erich Gonzales was said to have been chosen as the restaurant’s celebrity endorser for her refreshing and vibrant personality. 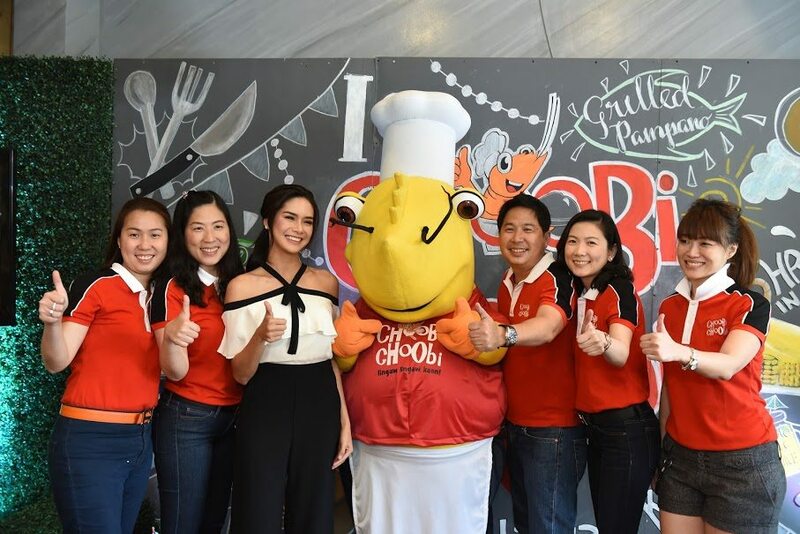 The brand team shared that just like Choobi Choobi, Erich values her faith and is proud to be Filipino—a great fit for a restaurant that focuses on preparing Filipino comfort food. Watch her video feature below. Photos were taken by Random Republika and Casa Camon via Ryan Ong. 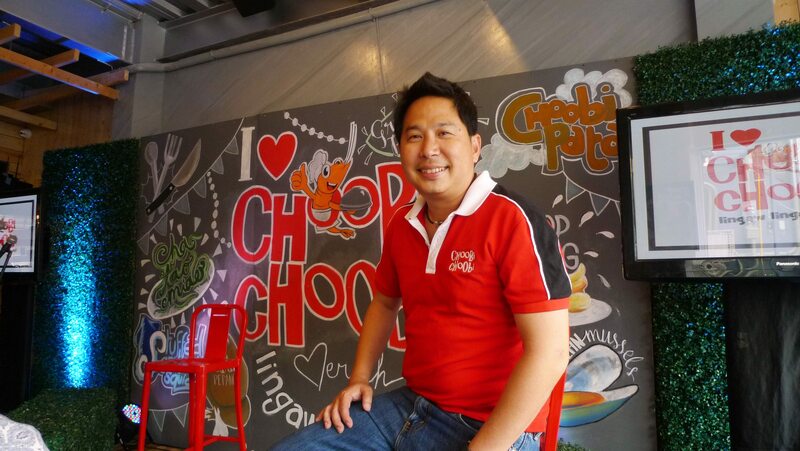 Choobi Choobi owner Stan Tanchan. 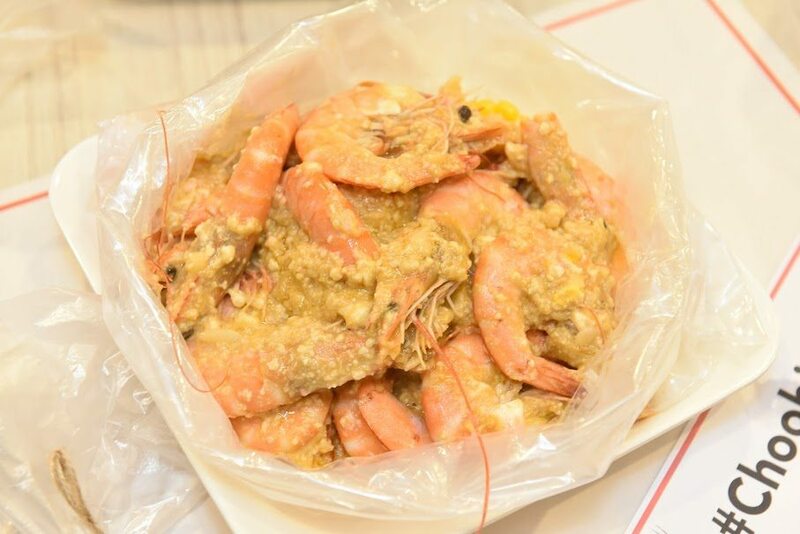 It was his dream is to provide Filipinos with export-quality shrimp at local prices. He’s been maintaining his shrimp farm for over 20 years and this eventually led to opening Choobi Choobi. 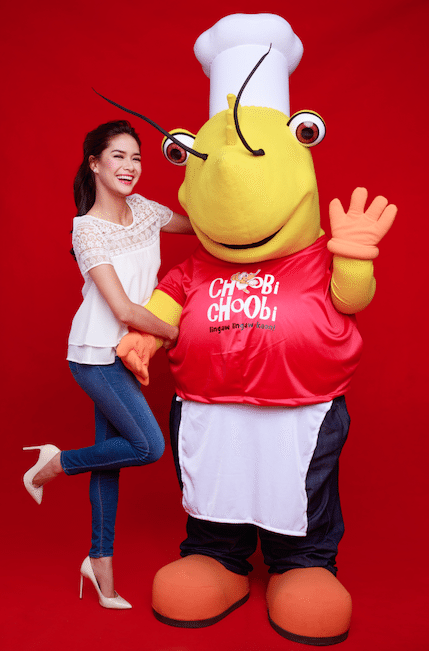 The grand reveal of Choobi Choobi’s celebrity endorser – Erich Gonzales. Erich was introduced by Magic 89.9’s DJ Suzy. Erich with Choobi Choobi owner Stan. The media launch also served as the official contract signing event. Erich with the Choobi Choobi management team. Look at what we had for lunch! 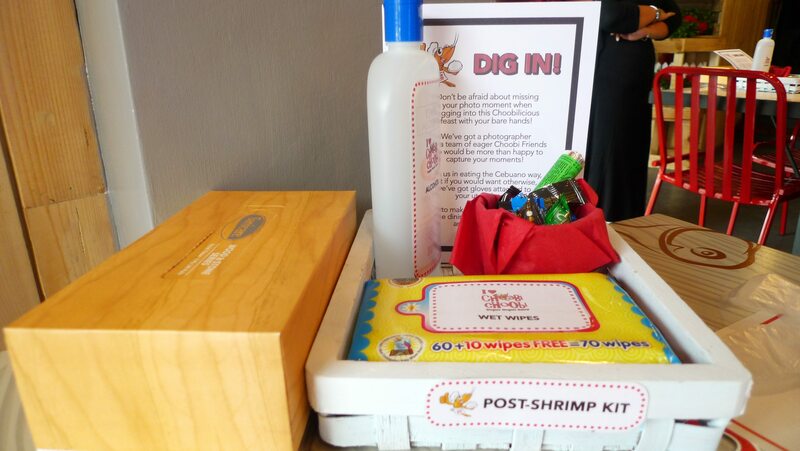 Loved this post-shrimp kit. Got me excited to eat all the seafood and get my hands dirty. As suggested by the waiter, I chose the fresh pineapple with organic kale juice for my drink. It tasted great with the pineapple flavor overpowering the taste of kale. 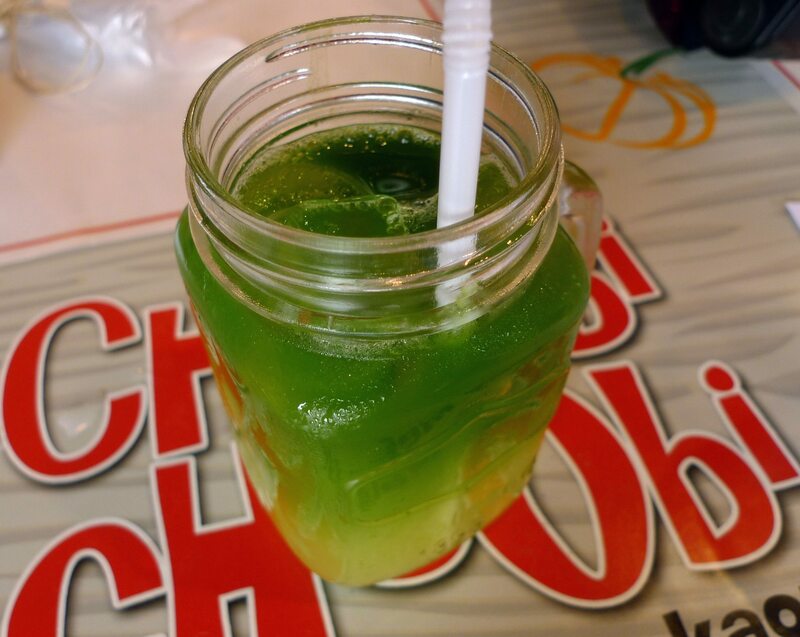 There’s still the hint of the vegetable taste which gives you a sense you’re drinking something healthy. For the appetizer, we had the Chao Tao Miao. 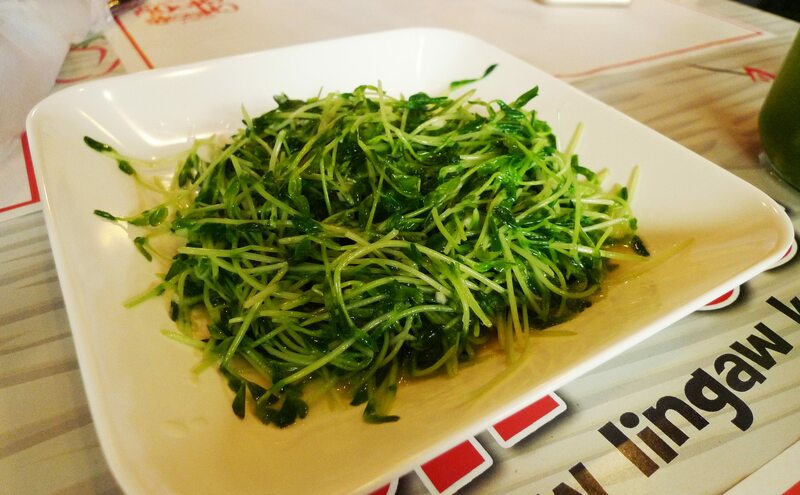 Cooked just right, this dish stir-fried snow pea sprouts was something I went back to even halfway through my meal. 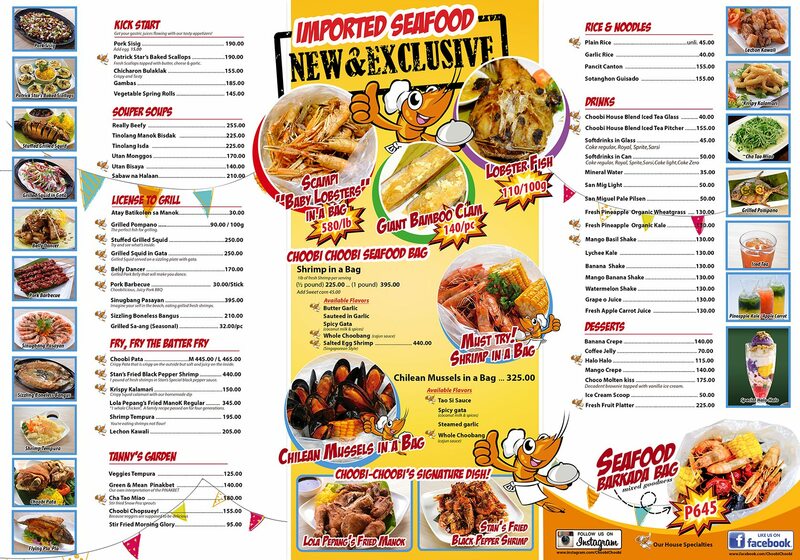 The Seafood Barkada Bag. This dish was a mix of good stuff. Mussels, shrimps, baby lobsters, corn, and chorizo! 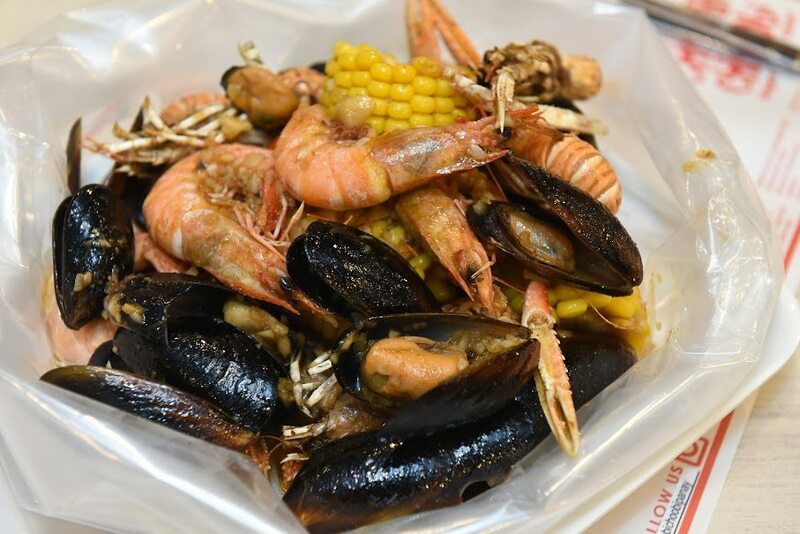 Perfectly cooked and tasty, you know the seafood is fresh because the meat comes off the shells so easily. Choobi Pata. I heard those around me raving about this crispy pata! And I know why. 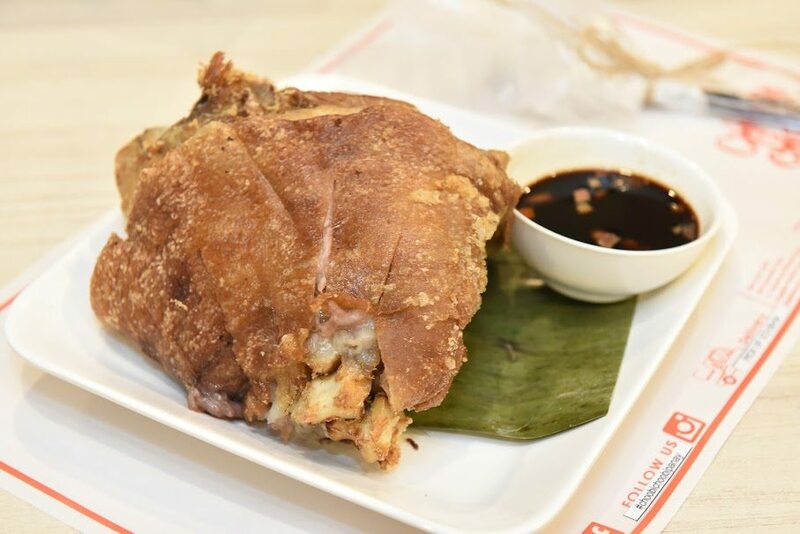 The pork skin is thin and crunchy while the pork meat is so soft and juicy it gives you that melt-in-your-mouth kind of sensation. 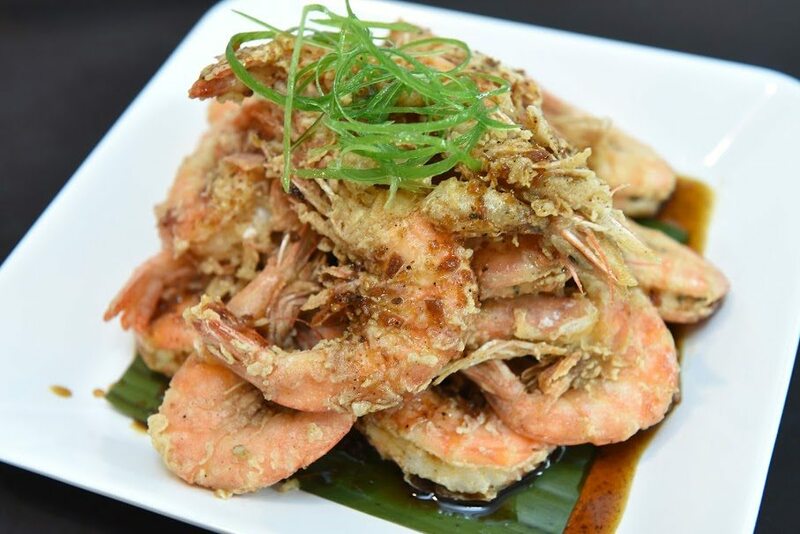 Stan’s Fried Black Pepper Shrimp. 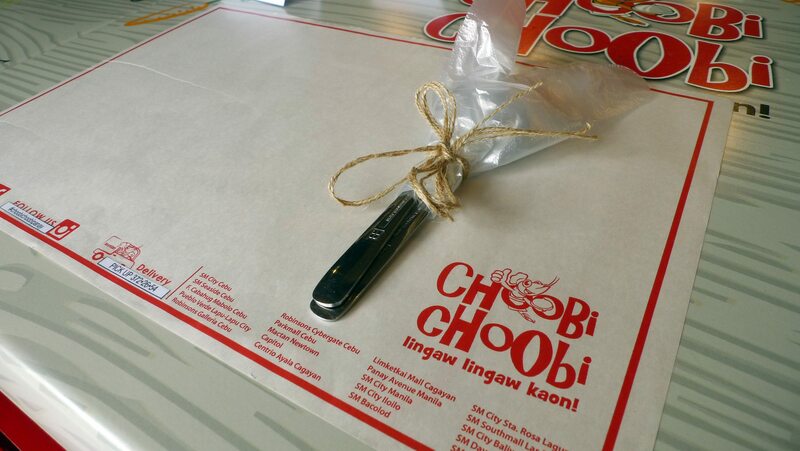 If the Choobi Choobi menu was a film, this was definitely the lead star. 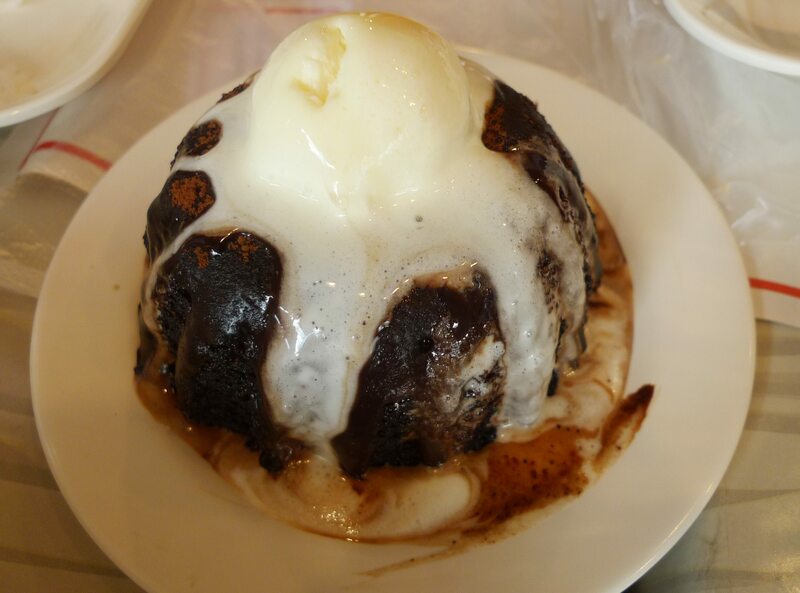 A lot of the attendees and even celebrity endorser Erich consider this dish a favorite. 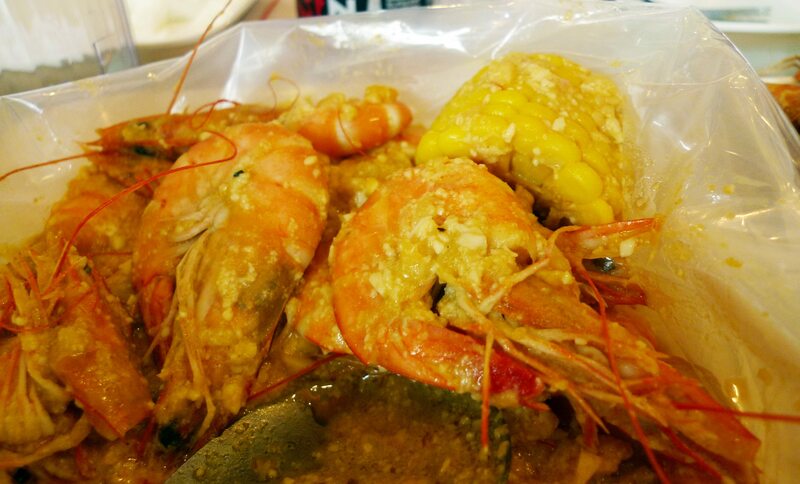 You can eat the shrimps whole including the shells! Make sure you dip the crunchy piece into the special black pepper sauce. You’ll get that crunchy-on-the outside-but-soft-on-the-inside satisfaction. I would love to eat this with rice next time! 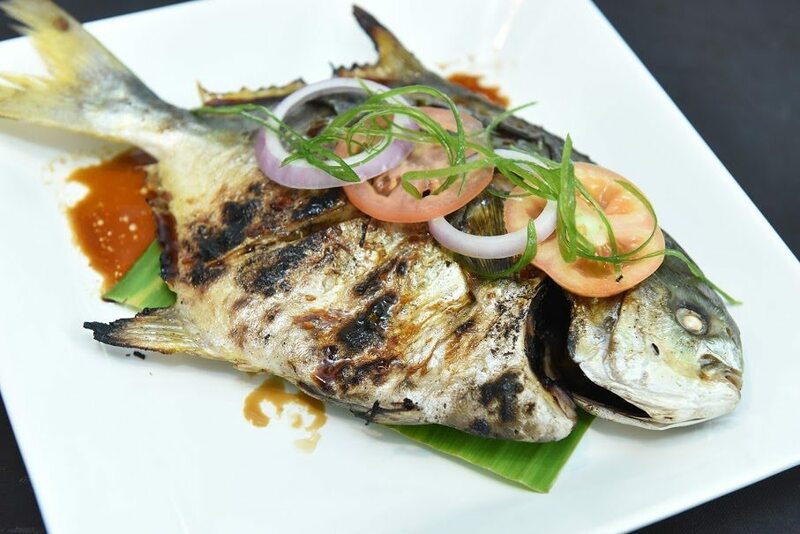 Grilled Pampano. The fish was perfectly grilled and the meat was tasty all over. 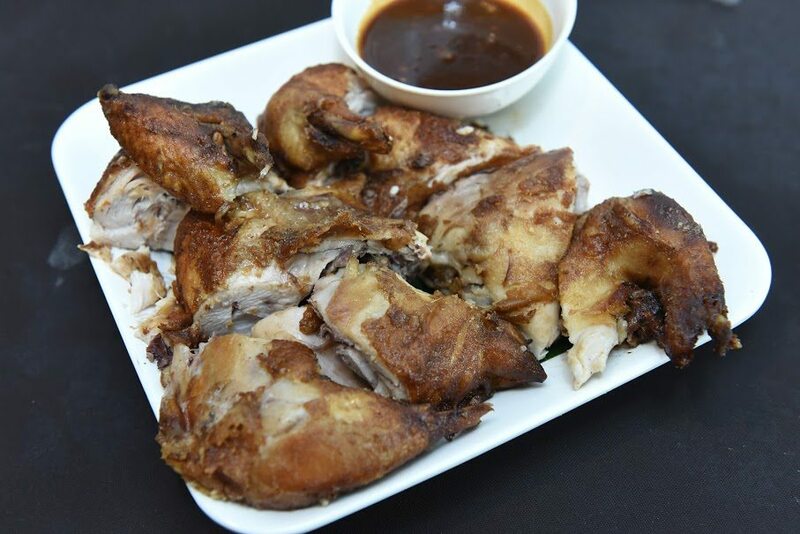 Lola Pepang’s Fried Manok. I gotta admit I was almost full when this was served but when I heard my table mates’ reactions, I knew I had to try. It was a good call. The fried chicken’s seasoning (however it was secretly done) was infused to the core that the meat was really tasty. I actually think there’s no need for the sauce. 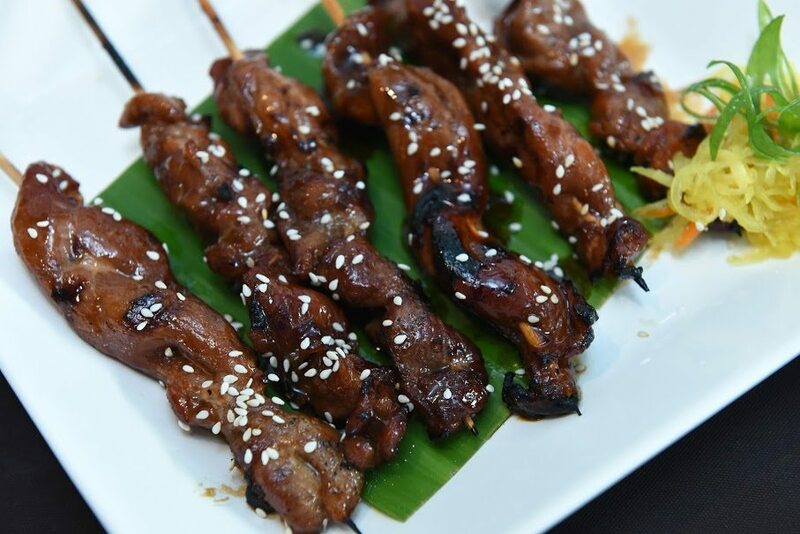 Pork Barbecue. Served last when I was already full, a stick of this grilled goodness was worth the try. The pork meat was tender and really juicy. It seemed too good to be true that everything served tasted great! But yes, it did. All the savory dishes had something to boast about. There were just some that really stood out.